The South by Southwest (SXSW) music festival is one of the largest and most popular in the United States. For the ninth year in a row SXSW is sharing DRM-free, RIAA-safe songs of performing artists, totaling 7.39GB so far. All the tracks can now be downloaded for free in one go, thanks to BitTorrent. Since 2005 the SXSW music festival has published thousands of free tracks from participating artists. For some of the first releases the festival organizers created the torrents for the artist showcases themselves, but since 2008 this task has been handed over to the public. Luckily all of the SXSW showcase MP3s are still freely available on the festival’s site for sampling purposes, so it only takes one person to get a torrent up and running. For the past four years Ben Stolt has taken the time and effort to put all the MP3s on BitTorrent, and this year two torrents containing 1,210 tracks have been released. That’s 7.39 gigabytes of free music in total. All the tracks released for the previous editions are also still available for those people who want to fill up their iPod without having to invest thousands of dollars. The 2005 – 2013 archives are now over 45 gigabytes. Every year the SXSW torrents are a great success, with many thousands of music aficionados downloading the gigabytes of free music from both established acts and upcoming bands in virtually every music genre. 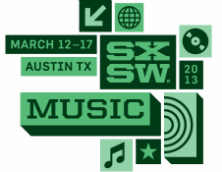 This year’s SXSW music festival takes place from March 12-17 in Austin Texas. For those interested in even more free music to fill up their MP3-players, there’s always Jamendo with nearly 370,000 free-to-download tracks. That’s a few terabytes of free music, good for years of continuous play.